Which is the better Android tablet: Samsung's Galaxy Tab 10.1, or the Motorola Xoom? Tablets are clearly one of the hottest tech categories in 2011, and the emerging slate market shows no sign of slowing down. Apple's iPad 2 is clearly the market leader, but there are plenty of credible alternatives. 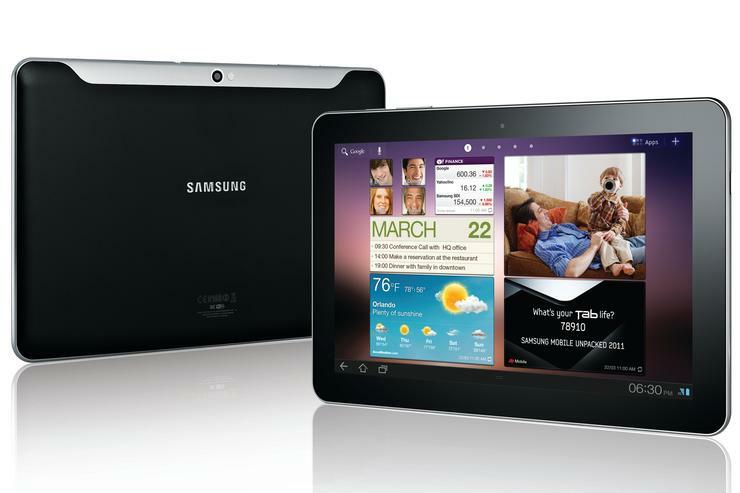 Two of the most popular are the Motorola Xoom, and the upcoming Samsung Galaxy Tab 10.1. What's all the fuss about the Galaxy Tab 10.1, and how does it compare to the Motorola Xoom? Read our comprehensive Motorola Xoom review and our Samsung Galaxy Tab 10.1 review, and check out our guide to the best upcoming tablets in 2011. The Motorola Xoom was one of the first tablets to establish itself as a credible iPad alternative, while the Samsung Galaxy Tab 10.1 is thinner and lighter than the iPad 2. The Galaxy Tab has not yet launched in Australia but has already cause quite the stir: Apple has blocked it from going on sale in Australia and forced Samsung to postpone the launch event. With this in mind, how does the upcoming Samsung Galaxy Tab 10.1 stack up against the Motorola Xoom when it comes to specifications? The Motorola Xoom Android tablet features an attractive, industrial-looking black metal finish on the back and sides, and a front that is taken up almost entirely by the 10.1in touchscreen. The Xoom is clearly designed to be used more in landscape mode than it is in portrait, though it can be rotated using a built-in accelerometer. At 730g, the Xoom is significantly heavier, thicker and larger than the Galaxy Tab 10.1, which may be a deal-breaker for those who want to lug their tablet around with them. The Galaxy Tab 10.1 is just 8.6mm thick, making it thin enough to be described by Samsung at the time of its launch as "the world's thinnest mobile tablet". That's ever so slightly thinner than the 8.8mm thick iPad 2. Although a mere 0.2mm doesn't seem like a deal breaker if you're comparing it directly to the iPad 2, the Galaxy Tab 10.1's weight of just 565g is a big deal. The lightweight design makes it easy to use single-handedly, and very comfortable to hold for long periods, unlike the Xoom. The Samsung Galaxy Tab 10.1 is just 8.6mm thick, and weighs a mere 565g, making it much thinner and lighter than the Motorola Xoom. 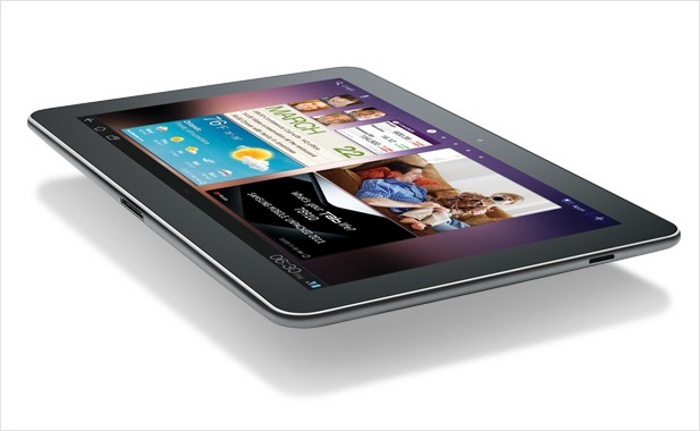 The Motorola Xoom has a 10.1in capacitive touchscreen display with a 1280x800 resolution. For general use indoors the display produces vibrant colour, but its glossy surface makes it very tough to see in direct sunlight, and viewing angles aren't great. We also found that text wasn't as crisp or clear as we'd like — particularly when reading books, or long articles on the Web. Importantly, the Xoom's display is responsive to touch, and doesn't feel sticky when swiping. The Samsung Galaxy Tab 10.1 has the same sized 10.1in display as the Xoom, and an identical resolution of 1280x800 pixels, but it uses PLS TFT touchscreen technology. Samsung says that the inclusion of PLS (Plane-line-switching) technology gives the Galaxy Tab 10.1 better viewing angles and increased brightness compared with regular IPS screens. For most part that's true, as the Galaxy Tab 10.1's screen is bright and crisp, and can be clearly seen from even the most obscure angles. Sadly, the screen can't escape a common issue with most tablets: it quickly becomes a grubby mess after use. It also has poor sunlight legibility, reflects fluorescent lighting in an office environment.